Google is known for their unique company culture, and along with this, they've introduced or popularized some interesting phrases. Not all of these terms were coined by Google, but all of them have been used by Google. See how many of these you've heard before. The Googleplex is the company headquarters in Mountain View, California. The name is a play on both "Google complex" and "googolplex," the number you get when you take a one and add a googol of zeroes to it. 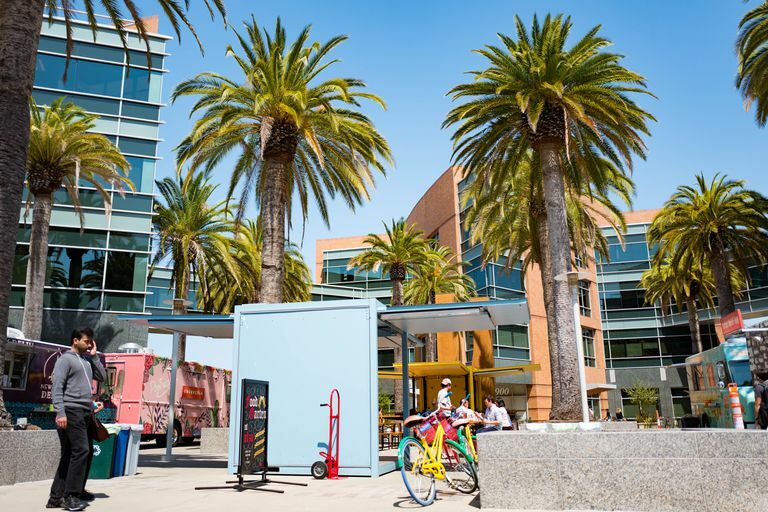 The Googleplex provides employees with unusual perks, like haircuts, laundry facilities, and gourmet meals. While Google has been scaling back on some of their perks during economic hardship, employees still enjoy some fantastic benefits. Googlers are employees of Google. There are also several variations of the term, like "Gayglers" for gay and lesbian employees, Bikeglers for employees who bike to work together, and Newglers for new employees. Former employees sometimes even refer to themselves as Xooglers. Google engineers are allowed to spend twenty percent of their work time on pet projects. The philosophy is that this outlet helps Googlers stay creative and energized. Sometimes these "20-percent projects" are dead ends, but often they end up being developed into full-fledged Google offerings. Some examples of projects that benefited from twenty percent time include Orkut, AdSense, and Google Spreadsheets. "Don't be evil" is an unofficial Google motto. Google's corporate policy page phrases it "You can make money without doing evil." Note that being evil is different from doing evil. PageRank is the algorithm that made Google what it is. PageRank was developed by Google founders Larry Page and Sergey Brin at Stanford. Rather than just calculating keyword density, PageRank factors in how others link to a particular page. Although PageRank is not the only factor in determining how well a website will rank in Google results, it's certainly important to understand how PageRank works if you are website creator. This wasn't a phrase that originated at Google, but it's certainly been heard there. The phrase comes from the idea that if your product is terrific, it ought to be a product you use yourself. Google does this with most of their products by using them internally as much as possible. It's easier to catch bugs and fix inconveniences if it's a product you use yourself. Google is certainly not the only technology company to eat their own dog food. It's a phrase used at Microsoft, too. The Long Tail was an article by Chris Anderson in Wired which has since been expanded into a book. Basically, the theory is that Internet markets are stressful by specializing and catering to lots of niche markets rather than concentrating on the top sellers like retail stores. Google's business model relies on The Long Tail. Google allows small advertisers to place inexpensive, highly specialized ads in places targeted to a receptive audience. Google refers to malicious websites and spammers as "bad neighborhoods." If you hang out in bad neighborhoods, you're likely to be mistaken for a hooligan. The same is true of Web designers. If you link content to known spammers, Google might mistake your website for spam and lower its ranking in search results. In order to index websites in the massive Google search engine, Google uses automated programs to crawl from link to link and archive all the content on the page. Some search engines refer to this as spidering or Web spiders, but Google calls them 'bots and refers to theirs as the Googlebot. You can request pages not be indexed by Google and other robots and spiders by using a robots.txt file. Google's search engine has had an "I'm Feeling Lucky" button on it almost from the beginning. Even though most users don't seem to be feeling lucky, the button has stayed. It's even moved to other tools, like Picasa. Do Xooglers and Nooglers Have anything to Do With Google?